In the ‘Garden of Bohemia’, the northern Ústí nad Labem Region renowned for its mild and agreeable climate, we find the small town of Litoměřice and its 25,000 inhabitants surrounded by vineyards. Despite its size, Litoměřice is well known in the Czech Republic for its pioneer work in sustainable energy management. 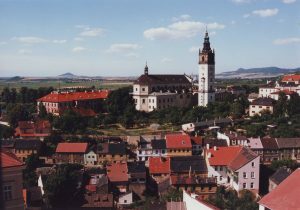 This avant-garde commitment began in 2000, when Litoměřice – as the only Czech city – introduced a local subsidy scheme for solar water heaters, offering a small, but quickly available subsidy to apartment or house owners willing to replace old boilers with solar water heaters. The city is also one of the three founding members of the national ‘Association of municipal energy managers’ which was set up in 2014 with the aim to help cities implement their ambitious local energy and climate strategies and actively promote energy efficiency and the use of renewable energy towards their citizens. In regards to energy refurbishments, Litoměřice has gained much experience in the area of public buildings and has recently even set up an ‘Energy Efficiency Revolving Fund’ to trigger sustainable energy investments in public buildings. In the private residential sector, the town is less experienced but has started taking action by organizing regular round tables for citizens in order to promote retrofits for individual houses and condominiums in low and passive energy standards. The residential sector represents an enormous potential for energy savings, as currently almost two thirds of the city’s houses have an energy label D or E. In order to address this issue, Litoměřice has joined the INNOVATE project where the town is developing a comprehensive strategy to effectively implement and promote deep energy renovations to homeowners based on its own experience in the public sector and by learning from the other INNOVATE partners. Litoměřice is focusing its efforts on single-family houses which constitute the majority of the town’s building stock. 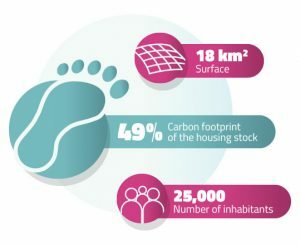 Collecting data on energy consumption patterns in this area was an important first step which was accomplished through the finalization of Litoměřice’s Sustainable Energy and Climate Action Plan (SECAP) in 2018. 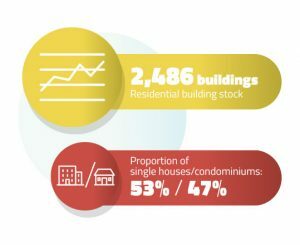 The energy analysis shows that the building sector represents 55% of the city’s entire energy consumption. On this basis, the town has set a target to refurbish at least 15 individual houses leading to a reduction of energy consumption between 40 % and 70 % until 2020. The city is still mapping out the market for energy renovations in order to better understand where it can intervene most effectively and what forms of cooperation are possible. Therefore, the initial phase under the INNOVATE project for Litoměřice mainly consists of meetings with both homeowners and local stakeholder such as banks and construction companies in order to discuss their needs, to present the concept of a One-Stop-Shop, and to collectively define what roles the different stakeholders can play in such a model. In Litoměřice’s vision for a One-Stop-Shop, it plans to establish a municipal organization where the city’s energy managers will be the ones providing energy advice to homeowners, supporting them throughout the renovation process, and monitoring the achieved energy savings up to five years after the renovation is completed. Litoměřice also wants to provide households with an online kit with the help of which they can themselves follow up on their energy savings. Other services which the city cannot carry out itself, notably financial expertise and building inspection, will be subcontracted to local market actors. Regarding third-party financing, Litoměřice is seeking to develop a financing scheme where investment costs are covered and repaid through energy savings. The One-Stop-Shop staff will also assist homeowners in combining structural, national, and local support schemes which they have access to. In order to motivate citizens to invest into energy refurbishments, the city is launching a marketing and communication campaign raising awareness about energy efficiency and existing support schemes. Litoměřice is focused on showing homeowners what possibilities exist to limit the inconveniences of such renovations – which are often perceived as highly disruptive – for example that deep renovations can easily be divided into several phases to be carried out over a longer period of time distributing the financial burden over a longer timeframe. The communication campaign also shifts the focus away from an exclusively energy-related argumentation, towards advertising how improved energy performance can not only help save money but actually significantly increases the quality of living for citizens.